If you look up "Darjee" in Wikipedia you will learn about Darjeeling tea in West Bengal, India; but you will see nothing about the Darjee people. The same results will happen if you do a Google search. 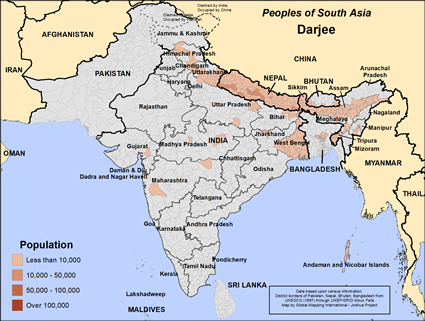 The Darjee people group is also left out of Malony's Peoples of South Asia. The Darjee people are truly a hidden people, unnoticed by anthropologists, sociologists, and cultural geographers. However, they are not unknown to the God who loves them. They are only 30 to 40 percent literate, are low-caste Hindu and Nepali-speaking. Given their low literacy, they use oral methods of communicating rather than the printed word. 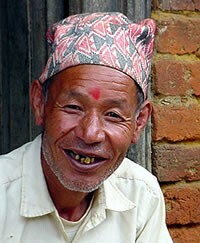 Most Darjee people live in Nepal, but many have migrated to India's northeastern states or Bhutan. A migrant community, the Darjee are sometimes known as Damai. They are non-vegetarian, and rice is their staple cereal. The Darjee women play a significant role in their economy by plucking tea-leaves in tea gardens for wages. The traditional occupation of the Darjee people is tailoring, but they are also noted musicians. Wherever they live, the Darjee people are Hindus who depend on various gods who cannot help them in their daily lives or transform their communities in a positive way. They regard Kuldevta as their household deity and also worship Vandevta. The Darjee people need to be respected and given dignity, since they are a low caste Hindu community. They need to find ways to earn a decent living. * Pray for the Darjee people to find their hope and dignity in a relationship with Jesus Christ, the only savior. * Pray for believers to take the gospel to the Darjee people in Bhutan and begin the process of discipling them in the ways of Jesus. * Pray for a strong Darjee church to emerge in Bhutan, India and Nepal. http://www.globalprayerdigest.org/index.php/issue/day/Darjee-People-of-Nepal-and-India-/View Darjee in all countries.